Grocery Dance is BACK! Our FOURTH rendition! Riverwards Produce in Philadelphia, PN! Thank you to all that supported our last production in December in Columbus! Your money went towards costumes, rehearsal spaces, and most importantly enabled me to compensate my dancers for all of their hard work in bringing Grocery Dance/Food Drive to life. We need your support to continue to to produce Grocery Dances, bringing FREE dance to the public! Your donations will be divided evenly among all of my dancers and me, in addition to covering technicalities (i.e. rehearsal spaces, costumes, travel, and our new workshop element). So, thank you, thank you, thank you!!!! 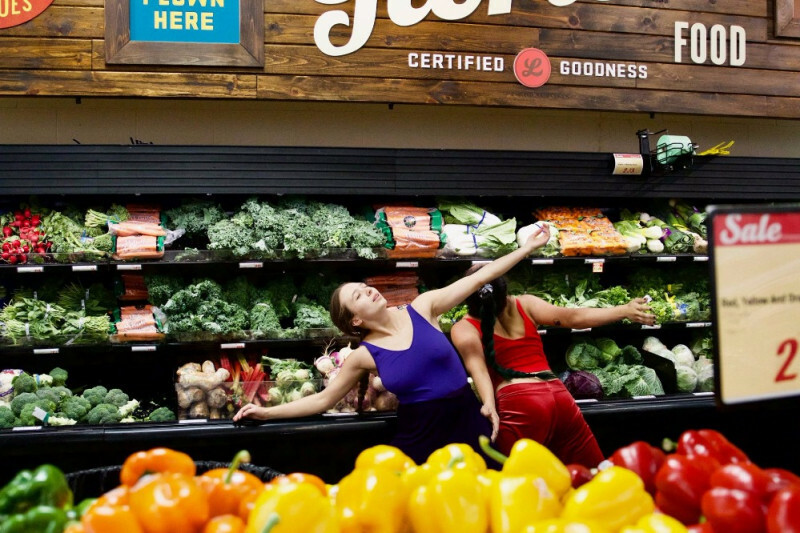 Grocery Dance is a durational, site-specific, installation dance piece that premiered at Lucky’s Market in Columbus, Ohio on April 14th, 2017.
project that will be performed in grocery stores and supermarkets all over the country, in different demographic locations. Grocery Dance is a performance as well as a food drive. A bin is always located at market's exit, encouraging shoppers to donate some groceries to those who can't afford food. After the performance, the grocery dancers deliver the donations to local soup kitchens. And the performance is TOTALLY FREE! Grocery Dance is touring to PHILADELPHIA!!! This will be the first Grocery Dance in another state (our first three were all in Columbus, OH). Spread the word! All of your support helps me compensate my dancers and therefore makes this project sustainable. By donating, you are eligible to win a 100-minute Thai Yoga Massage!